Organiser Mary Duncan said: "As well as having been highly respected and well-liked as a minister here and in further charges, he was an exceptionally talented and prolific watercolour artist. "He had a natural, almost canny ability to capture the ever changing light found in nature, within our own shores or further afield." The exhibition consisted of some 175 unframed paintings, all of which were for sale by donation — suggested minimum price between £25 and £45. 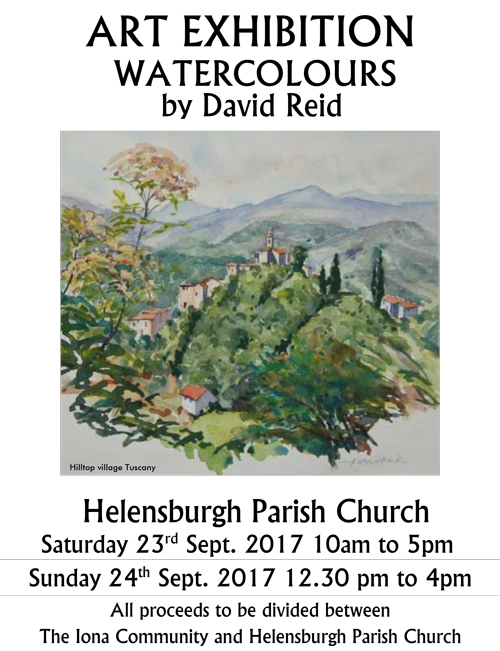 David was a first cousin of Priscilla Dorward, a well known member of Helensburgh and District Art Club for many years before moving south to be close to her sister. Mary added: "David obviously inherited the same artistic genes!" All proceeds were divided between Helensburgh Parish Church and the Iona Community.